A nine-year-old boy from The Bartons has been left heartbroken after brazen thieves stole his quad bike from a Buckingham Garden Centre car park. On Sunday, May 27 Claire Ludlow and her son Finley were on a day out to a bike track where Finley could hone his riding skills when they stopped in at a garden centre at around 1.30pm. Claire said: “When we got there the track was very busy with people using bikes that are more powerful and go faster so I didn’t want him to go on the track at that particular time. “We decided to go to the garden centre while we waited so I could buy Finley a treat. My husband parked the car and reversed in so the trailer was in a corner near a bush. Finley has had his quad bike for about a year and enjoys riding it in fields near to his home. It is blue with white decals. Claire said: “Finley was distraught and my husband felt like he had let him down. The bike is not covered by insurance so we are hoping we can recover it. The trailer and bike combination theft was caught on CCTV with the images showing a silver SUV, possibly a 5-door Range Rover Evoque, used in the crime. 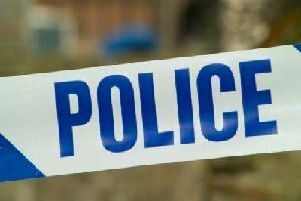 Thames Valley Police say they are investigating the theft of a trailer and quad bike from the garden centre on Tingewick Road, Radclive, Buckingham. Anyone with any information, recognises the vehicle in the CCTV images or who may have witnessed the theft should call 101, quoting crime reference number 43180160059.